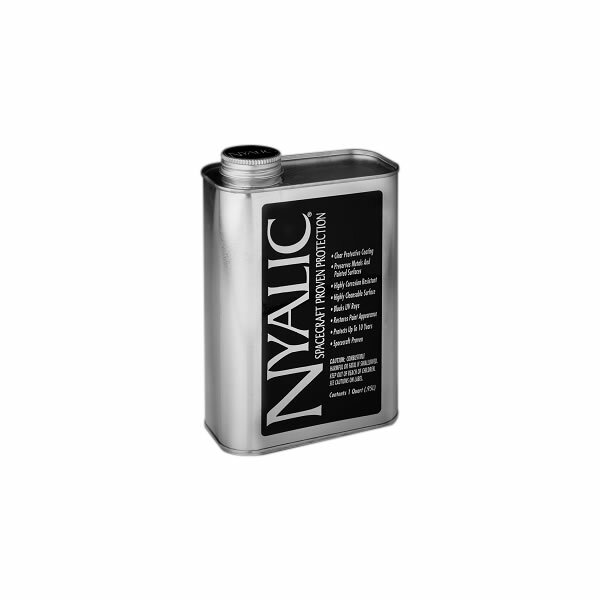 Nyalic Quart – 32 oz Covers up to 300 ft². Clear coat can be applied to bare metal surfaces, painted surfaces, fiberglass. Restores color, inhibits corrosion, paint oxidation and stains; self-levels, thermally stable up to 350°F and flexes with host substrate below freezing; does not yellow, will not crack, peel or flake off when applied as directed. Apply: spray gun, foam roller, lint-free cloth pad. No polish / no wax clearcoat protection.